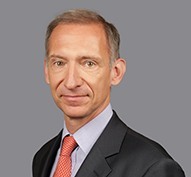 Nicolas Baverez is a French qualified partner in the Paris office of Gibson, Dunn & Crutcher, and a member of the Administrative Law, Regulatory and Government Contracts practice groups. Assisting States, local and regional governmental bodies in their structural development and reform process. Accompanying privatization and restructuring of public assets. Advising private-owned companies in the negotiation and implementation of industrial partnerships and leading related litigation, especially in regulated sectors (energy, transport, telecommunication, defense, banking, insurance). Representing state-owned entities and private companies in litigation relating, among others, to regulatory compliance and cases before administrative and constitutional Courts. Mr. Baverez has been ranked as a leading lawyer for France: Public Law by Chambers Europe (2008-2016), and Legal 500 EMEA (2007-2018). Chambers Europe has noted that Mr. Baverez “is a favourite with public bodies” and Legal 500 has praised his “top-notch practice”, recently commenting: “Nicolas Baverez is an ’emblematic’ figure who manages ‘a unique and sophisticated caseload'” and that he is “a one-of-a-kind adviser”. He is also recommended in Best Lawyers in France in Public Law (2015-2018) and Administrative Law (2018). Who’s Who Legal ranks him for Administrative Litigation. Mr. Baverez previously served as a magistrate in the Cour des Comptes, was a member of staff for the President of the French Parliament and was the Director of Communication and Business Development at FIMALAC. He has practiced as a lawyer since 1998 and has managed the Public Law activity of two Paris law firms. Admitted to the Paris Bar, Mr. Baverez graduated from the Ecole Nationale d’Administration (ENA) in 1988, from University of Paris X – Nanterre with a PhD in History in 1986, from Ecole Normale Supérieure (ENS) in 1984, from University Paris I – Panthéon-Sorbonne with a DEA (post-graduate degree) in Social Sciences in 1983 and from Institut d’Etudes Politiques de Paris in 1982.